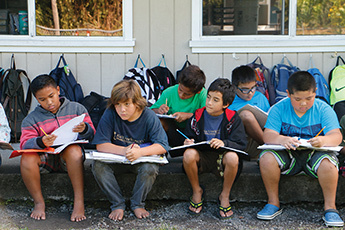 Deliver world-class, culture-based education through a network of Native Hawaiian schools, inclusive of our KS schools and Native Hawaiian charter and immersion schools. Engage and lead Native Hawaiian schools to form an integrated network. Create a framework for the network with an organizing vision, clear governance, and shared curriculum, instruction and assessments. Prioritize initiatives and action plans focused on the Educational Pathway Milestones. Develop data infrastructure and systems to support school quality. Lead network efforts to research and scale innovative programs and results. Improve learner achievement within a world-class KS school system. Set and support high expectations for academic growth and achievement. Set and support high expectations for staff and learners to be leaders and agents of social change serving others in need. Actively engage families as partners in their learners’ development. Ensure quality support systems and learning environments. Collaborate with other schools to learn and share practices that result in stronger student learning. 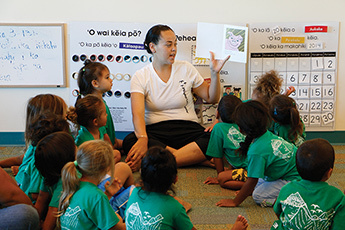 Strategically collaborate with Native Hawaiian charter and immersion schools that share our vision and demonstrate commitment to improving learner outcomes. 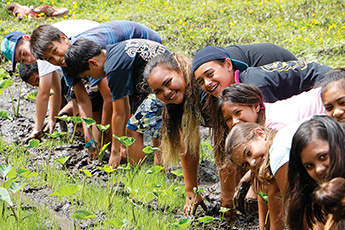 Develop and implement shared action plans within the network of Native Hawaiian schools to build greater sustainability. Support schools to provide effective instruction, systems, and positive learning environments to increase learner success.